You’ve been promoted to leadership—congratulations! But it’s nothing like your old job, is it? William Gentry says it’s time to flip your script. We all have mental scripts that tell us how the world works. Your old script was all about “me”: standing out as an individual. But as a new leader, you need to flip your script from “me” to “we” and help the group you lead succeed. In this book, Gentry supports and coaches you to flip your script in six key areas. 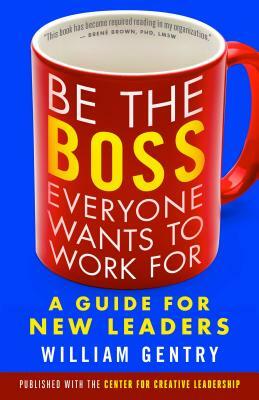 He offers actionable, practical, evidence-based advice and examples drawn from his research, his work with leaders, and his own failures and triumphs of becoming a new leader. Get started flipping your script and become the kind of boss everyone wants to work for. William A. Gentry, PhD, is a senior research scientist and a director at the Center for Creative Leadership, a top-ranked global provider of executive education that serves more than 20,000 individuals and 2,000 organizations across the public, private, nonprofit, and education sectors, including more than 80 of the Fortune 100 companies.